We acknowledge with interest the decision by the Director of Public Prosecutions, Barra McGrory, to investigate the circumstances surrounding the murder of Michael Tighe by the RUC in 1982. This was clearly a case of injustice in which vital evidence (a recording device) was destroyed to cover the realities of an RUC shoot-to-kill policy. It would be difficult to ignore the glaring parallels that exist between this case and our own with regard to the destruction of key evidence. This is especially so given the conclusion reached by a director of the company responsible for manufacturing the device which contributed to our wrongful convictions. At the trial he stated that the wiping of data “would not have been something that could have happened purely accidentally”. The question must now be asked: how can Mr McGrory attach such significance to the wiping of evidence in the Tighe case while at the same time ignoring similar misconduct in our case? Mr McGrory’s expressed concern that the case of Michael Tighe could potentially undermine the credibility of the Public Prosecution Service could equally apply to our case. In denying the truth Mr McGrory’s predecessors withheld justice from the family of Michael Tighe for more than 30 years. Does he intent to mimick what he now condemns and wait for his successor to address his current wrongs or is he now prepared to accept that justice was similarly perverted in a case in which he continues to be instrumental? 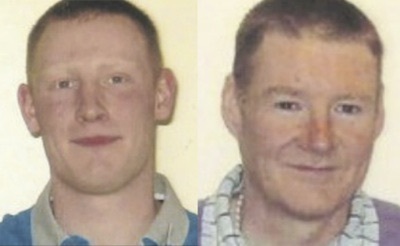 In 2012, John Paul Wooten and Brendan McConville were convicted of the 2009 killing of PSNI Constable Steven Carroll in Craigavon, County Armagh. Both men have maintained their innocence since the day of their arrest and interrogation by the PSNI. John Paul Wooten was 17 at the time of his arrest and imprisoned at Maghaberry Prison, which is the adult committal prison for male prisoners in Northern Ireland. Brendan McConville at the time of his arrest was 38 years old and had previously served his community by being elected to Craigavon Borough Council. The trial was placed under the jurisdiction of the juryless court system in Northern Ireland, formerly known as “Diplock Courts”. A jury-less court in NI is established under the Criminal Justice Act 2003 (Act of British Parliament) and can try a case with a single judge presiding and hearing evidence. The evidence which the prosecution brought before the court was, as many legal experts have described, insufficient to be admissible as evidence, evidence was insufficient to carry a conviction and that the security services doctored the evidence. The evidence given by “Witness M” was only presented to the PSNI 11 months after the date of the murder. This witness placed Brenden McConville at the scene, however has admitted he (Witness M) was “intoxicated at the time”. However since then a family member of witness M, has come forward and given a statement questioning the statement of witness M and his ability to identify Brenden on the night of the murder. Since coming forward witness M has benefitted financially and has been placed into the witness protection programme. Witness M gave his testimony over tv link to the court. At the time of the murder John Paul Wooten had been under surveillance by the British Army and a tracking device had been affixed to John Paul’s car. After the arrest of both men on the same night, the tracking device was then removed from the car and brought back to an army base and the data on the device was retrieved and then the device was wiped clean of all data. This happened six days after the date of arrest which has been questioned by the defence as unacceptable to be admissible as evidence to court. Questions have also been raised as to the device’s ability to give accurate readings in GPS format and that it has been proven data has gone missing from the device which the defence argues should never of been allowed to be presented to court. These two pieces of evidence were the basis of the prosecutions case. It placed both suspects at the scene; made use of the corroborated evidence rule (requiring 2 pieces of evidence to be presented before any evidence is deemed to be admissible); both Brenden and John Paul were involved in republicanism (also covered by the “Hearsay rule” in English Law). The use of the juryless court system has been called into question by Amnesty International, the Irish Human Rights Council and by previously and current serving members of the Dail, Stormont and Westminster. To be tried under a juryless court is to be denied the very basic right under criminal law, to be tried by a jury of your peers. This right is the right of any person charged with a criminal offence and designed to give a fair balance of justice regarding the power of the state and allows for the person charged to be judge by the tested standards of the public and not that of the legal profession or the security services. In our society a miscarriage of justice is deemed to be the failing of the law to protect the rights of the individual under the legal system and therefore any conviction or sentence can be defined in law as “invalid”. This case has many parallels in The Republic of Ireland, most notably Ian Bailey, where the State’s agents and by definition the State, allegedly doctored evidence, perverted the course of justice and committed perjury in court by corroborating the evidence which is presented in court. At the very heart of this case is the juryless court system and its ability to give a fair and balanced trial. The Craigavon 2 have had their basic human rights under criminal law denied to them by the state, have been given life sentences based on questionable evidence and have had the appeal by the Court of Appeal in Belfast reserved with the convictions and sentences upheld. The next step for Brenden and John Paul is the Supreme Court in London.